Last week during the High Times Cup 2009, Rick Simpson was awarded with the title Freedom Fighter Of The Year 2009. We feel that Rick Simpson is one of the people that truly deserves this title. That is why we feel it is important to tell as many people as possible about this remarkable man and his fight for Medical Marijuana. Mr. Simpson claims that his pure cannabis oil can cure all kinds of diseases and even cancer. The Canadian government does not believe this and have tried to prosecute him as a drug dealer in the past even though his only crime is giving it away for free to terminally ill cancer patients. We don’t get this… Even if you do not believe him, what harm is there to have terminally ill cancer patient try this medicine? On November 25th, 2009, one day before I was crowned the Freedom Fighter of the Year 2009 at the Cannabis Cup in Amsterdam, I received a word that I have been raided again by the RCMP. I contacted Tim Hunter at the Amherst attachment and asked I was being charged. Of course, he refused to give me straight answer. All he would say was that the RCMP wanted to talk to me. After openly growing hemp in my backyard this past summer and announcing this fact to the public on tom Young´s open line talk show in June, how could the RCMP not be aware of my activities? The truth is they knew exactly what I was doing. RCMP officers were even sending people that needed help to me. I can only surmise that the purpose of this raid was to keep me from returning to Canada. If I return home, I will be arrested and put in jail without bail or medicine. I am not afraid of their jails but I cannot go without my medicine, the system has nothing that could help me with my conditions. So for me to return to Canada would be like committing suicide. I would be thrown in jail and denied my medicine and a short time later you would hear in the news that Rick Simpson died of natural causes. I cannot tell the people of Canada who are depending on my presence to help their medical conditions how sorry I am. But it was not me who caused this situation. Cannabis oil a cure for Parkisons disease? After fighting terminal pancreatic cancer for more then 20 months Patrick Swayze passed away Monday 14 September at the age of 57. 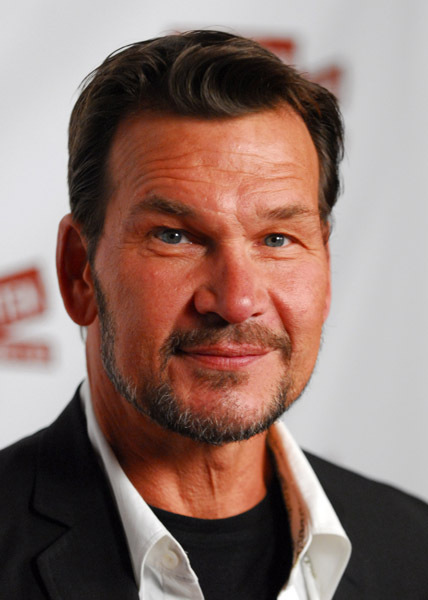 Patrick Swayze allegedly has begun smoking medicinal marijuana to help him in the fight against pancreatic cancer. Medicinal cannabis is already well known to ease nausea, insomnia and anxiety. People that undergo treatment for cancer often loose their appetite, smoking a joint helps a lot of people to gain weight again therefore regain the strength that is needed to fight this terrible illness. This is what a insider had to say..
“He’s recently gained a little weight and feels more normal that he has in months. Patrick was rapidly losing weight.” a source says. Swayze, who has been battling pancreatic cancer since January 2008, has not commented. Hemp Oil as a cure for cancer? The special medicinal qualities of Hemp Oil are discussed in the following video. The story almost sounds to good to be true, however the fact of the matter is that Hemp Oil has many uses which modern medicine seems to have overlooked. Even if you are a bit sceptical towards these kind of miracle stories, if even half of the stories in this video are true we seriously should be looking into the medicinal applications of Hemp Oil.